Last night I visited Lot No. 3, easily the best bar on the Eastside. Their drink menu is probably too large, but the drinks are well-executed. Their original creations can be a little hit or miss, but I give them full points for effort, and I commend them highly on the name “Stregasaurus” for a mixture of Cocchi Americano, strega, fernet branca, lime, and sugar. I ordered this drink with with a little extra Fernet, and they were happy to oblige me. I wanted to like this, and it was very drinkable, but the tequila flavor was utterly lost, and all I could really taste was Strega. I was intrigued by this drink because it resembled one of my all-time favorites, the Rojo Bianco, but it was not a comparable variation. My intuition says that dry vermouth would have been a much better choice. 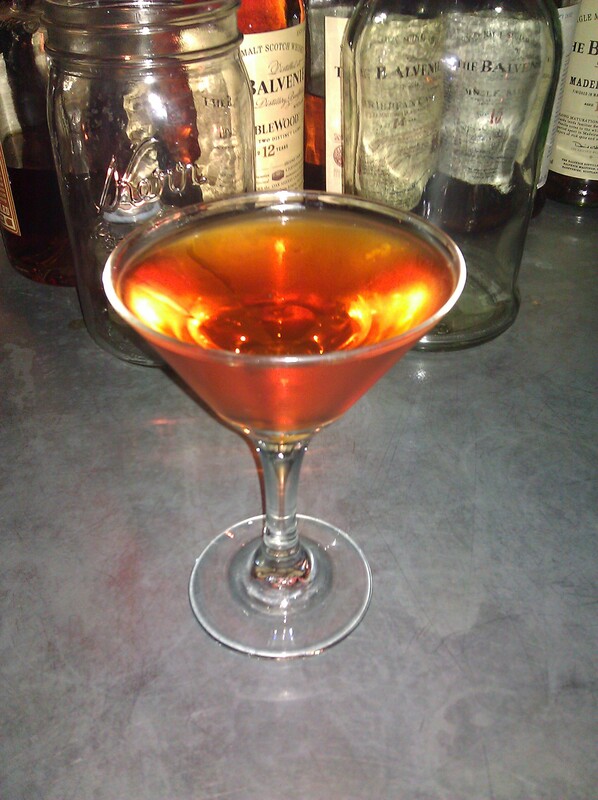 Categories: excursions | Tags: aperol, lot no. 3, strega, tequila | Permalink.